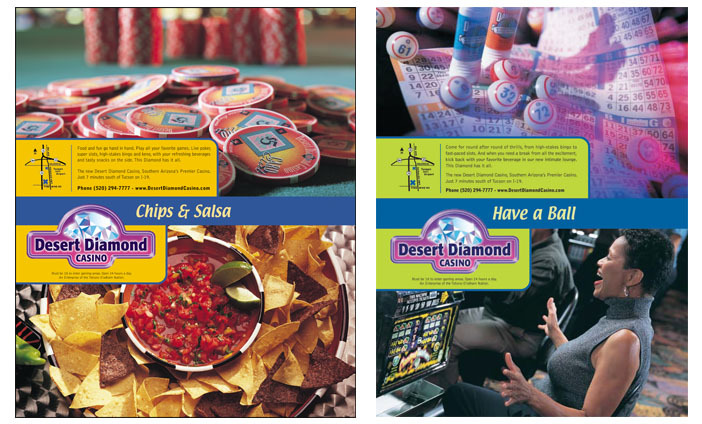 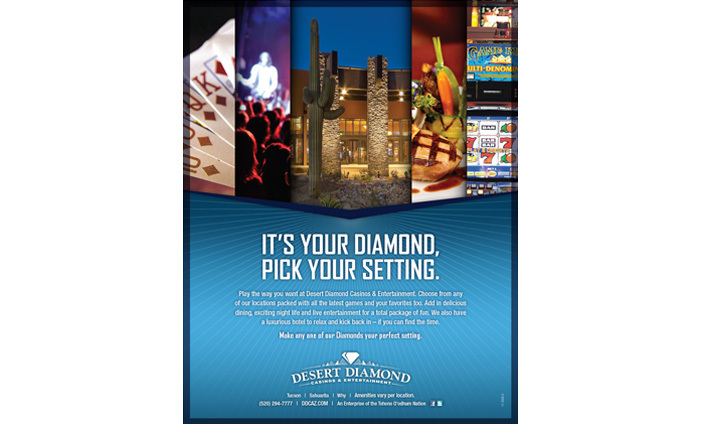 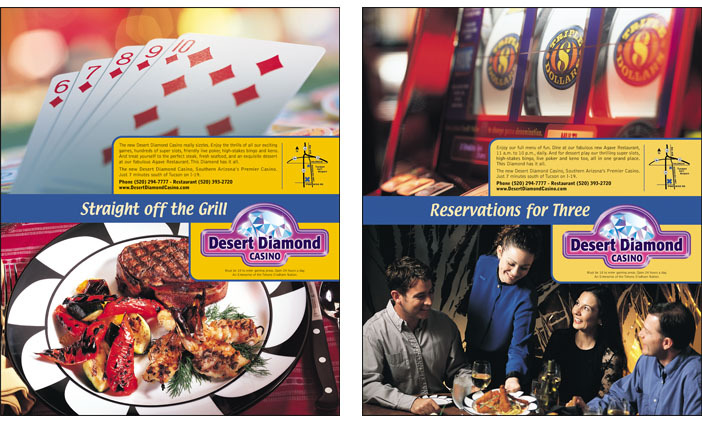 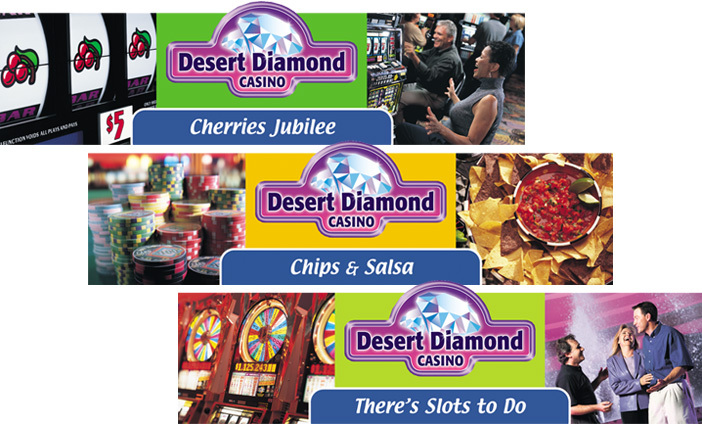 One of Southern Arizona's largest gaming enterprises and operated by the Tohono O'odham Nation, their two largest locations offer the full casino experience: gaming, live entertainment, fine dining, a hotel and convention services. 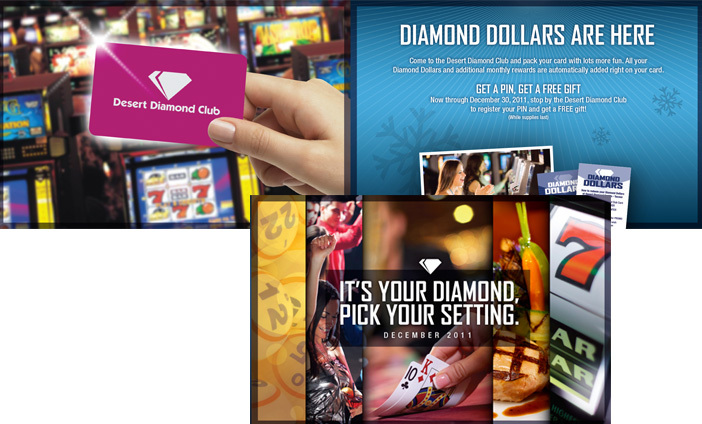 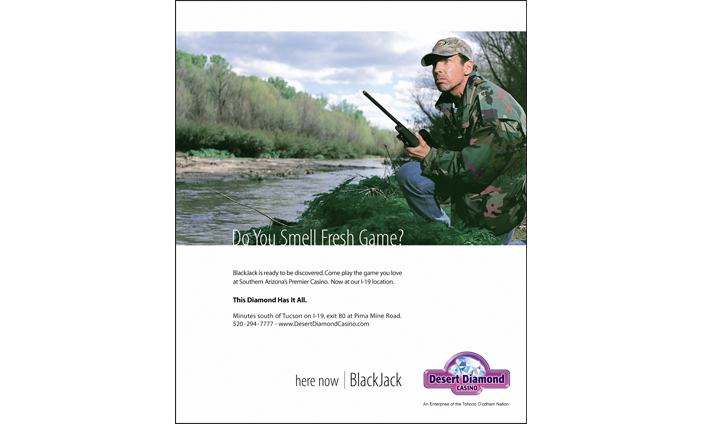 Working closely with their in-house marketing staff, we created campaigns to brand the properties as well as introduce new games and amenities. 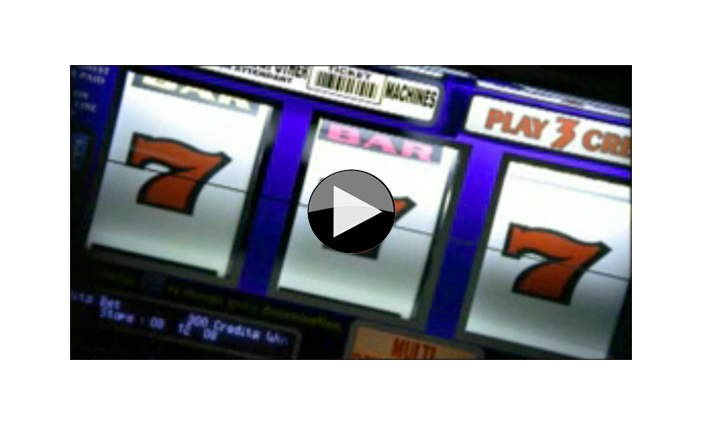 As luck would have it, good thinking and fun creative are a marketing jackpot.